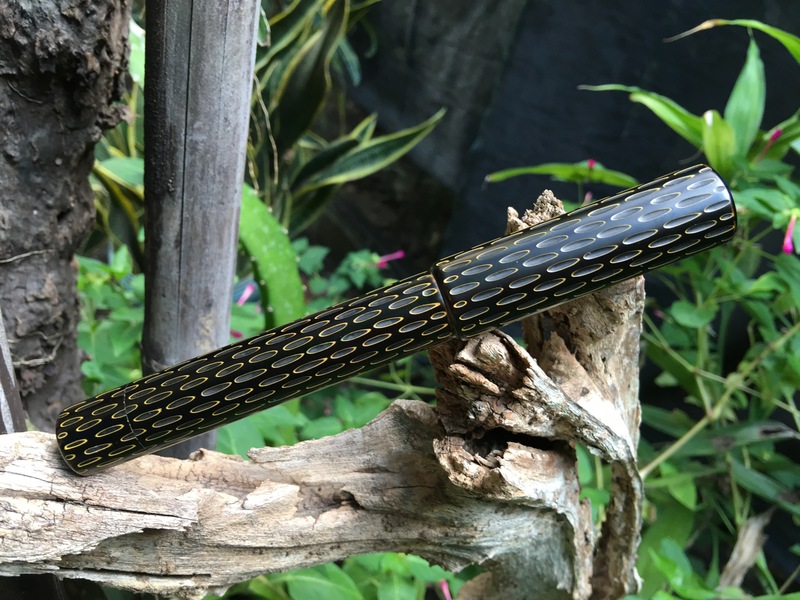 Top Ten Pens 2015 – Leigh Reyes. My Life As a Verb. This was the year my pen wraps and Franklin-Christoph pens became BFFs, hearts, sparkles. 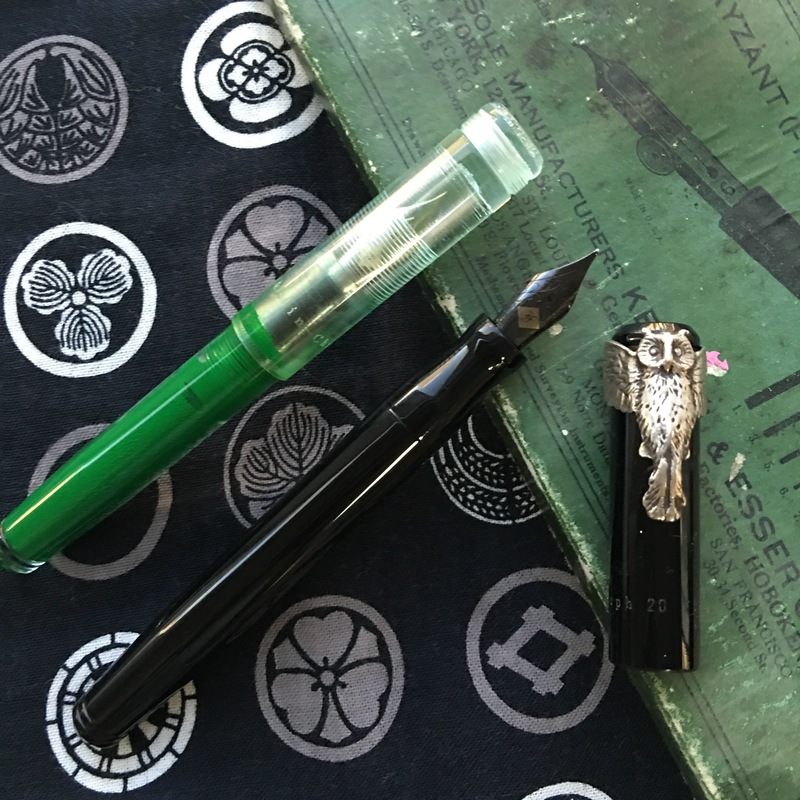 The bare-bones elegance of the Marietta/Model 20 spoke to me of the classic eyedropper shape, and in a modern material that wouldn’t oxidize with time and sunlight. It seemed fitting to slide on an accommodation clip, like the early hard rubber pens of the 1900s wore. 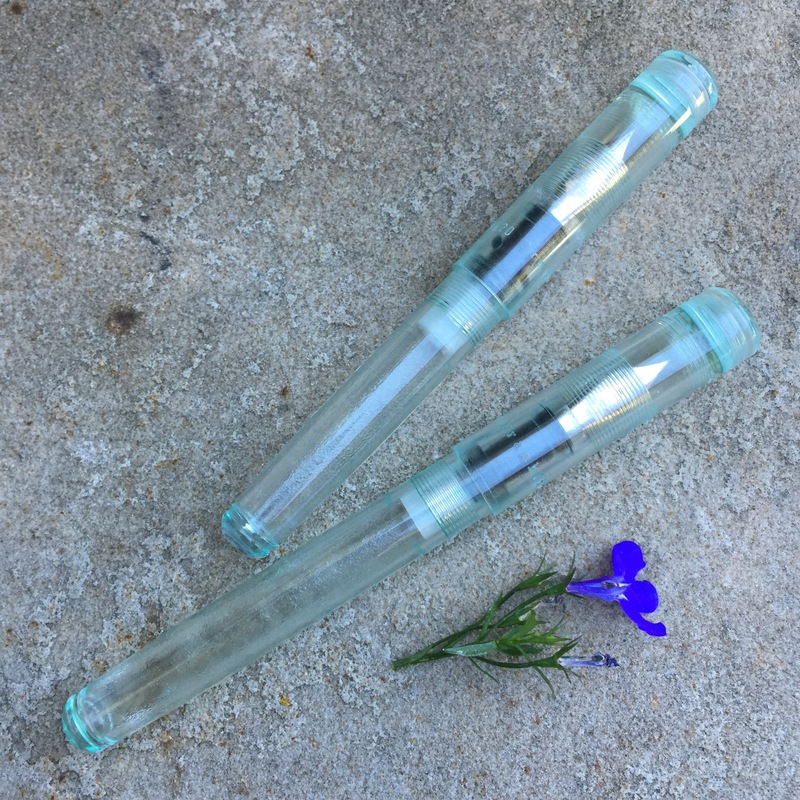 Slide off the cap to reveal a tuned nib, ready to ink your thoughts into paper. 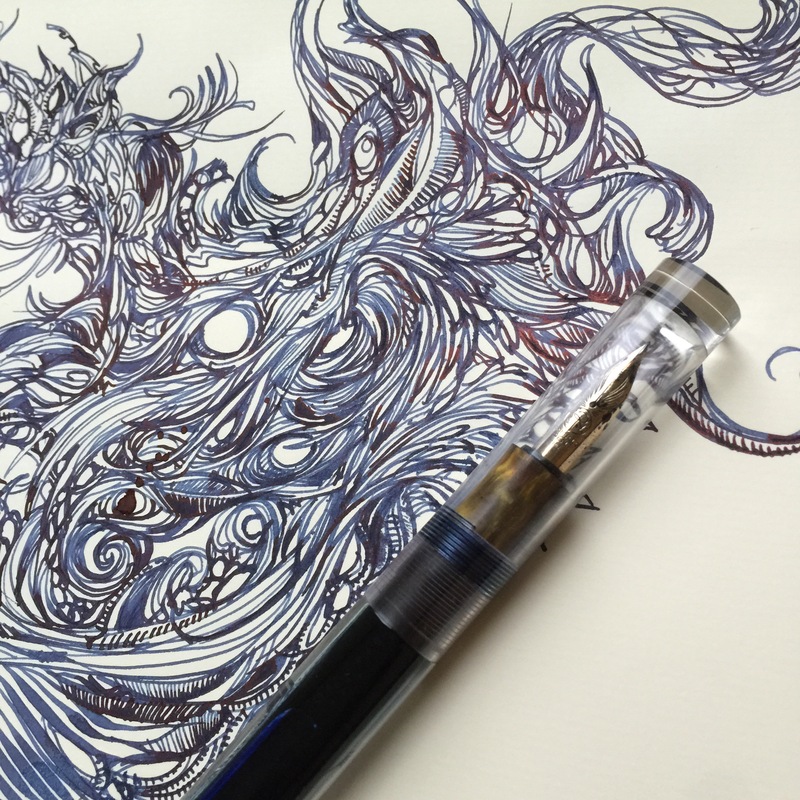 Jim Rouse tunes Franklin-Christoph nibs, even the ones specially ground by Mike Masuyama. The pocket 20 is the chibi version, with the #cokebottlepen material sending pen people into squealings of cute. 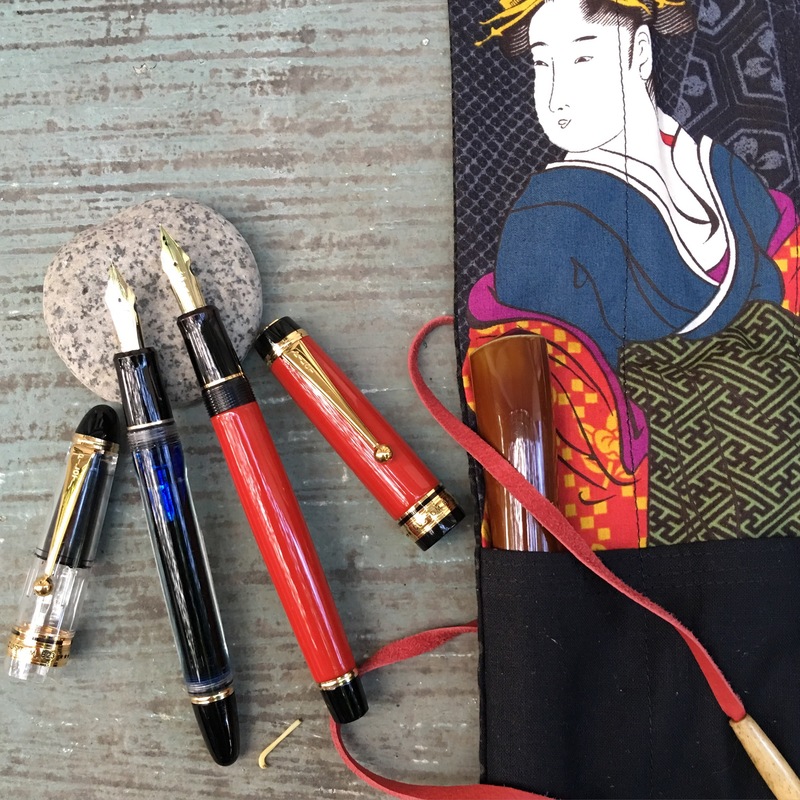 Urushi-coated ebonite accents frame a pernambuco cap and barrel, in a way that is gracefully, unmistakably Nakaya. 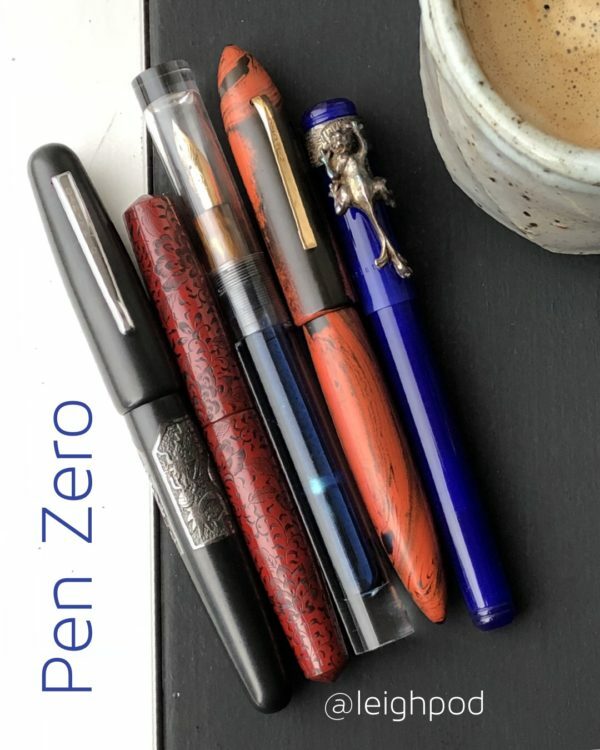 I would not expect this kind of design thoughtfulness from other pen makers. There are little secrets to the way the pen is put together that make using it even more of a pleasure. 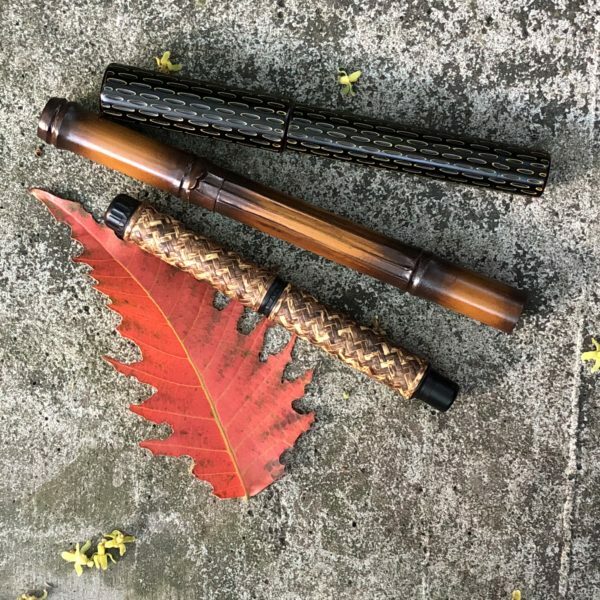 Renee Meeks is the talented maker behind Scriptorium Pens. 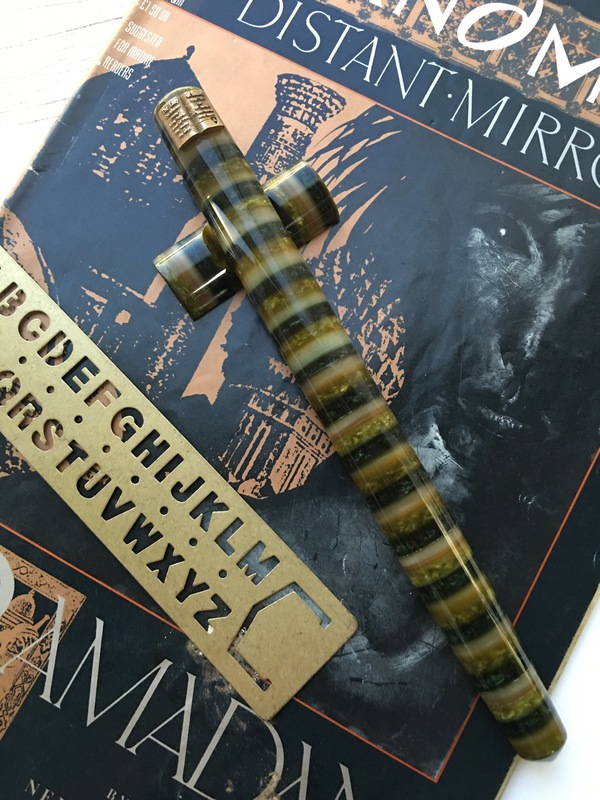 The striped Evergreen (Conway Stewart) material looks amazing in an almost-deskpen length, with a specially-commissioned book stopper cast in bronze. 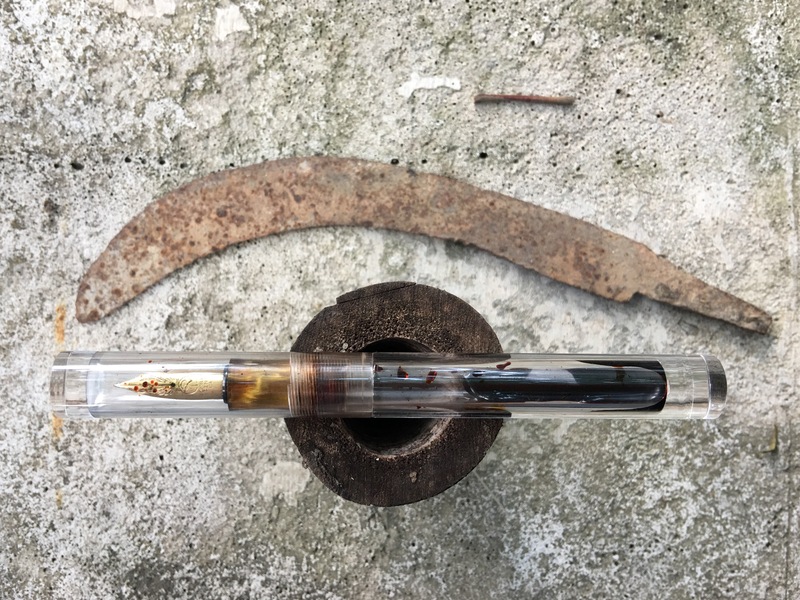 The pen wears a 1.5 stub and is rarely out of use. Renee sent a matching pen rest, too. These small touches mean a lot. Pierre made only a few of these – they fill with a syringe through a self-healing sac. 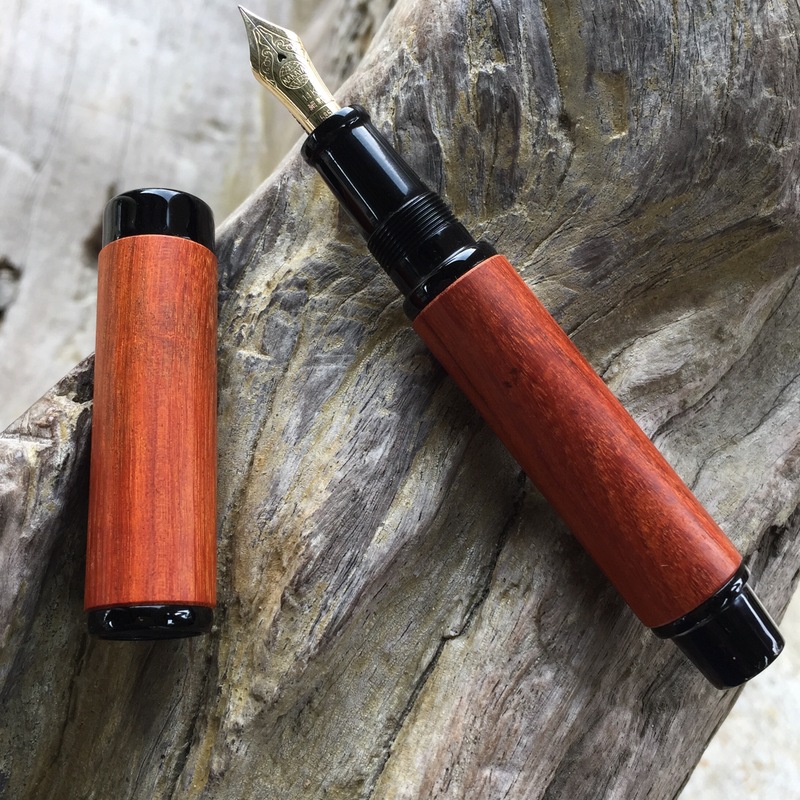 I love the feel of this one in the hand; there’s something about its length and weight that lends it the feel of a calligraphy holder. Certainly the generous flow of ink to the vintage-style ebonite feed helps that impression. And thanks to the timely introduction of titanium-coated Zebra G nibs, more than a month can go by without replacing the nib due to wear and tear. 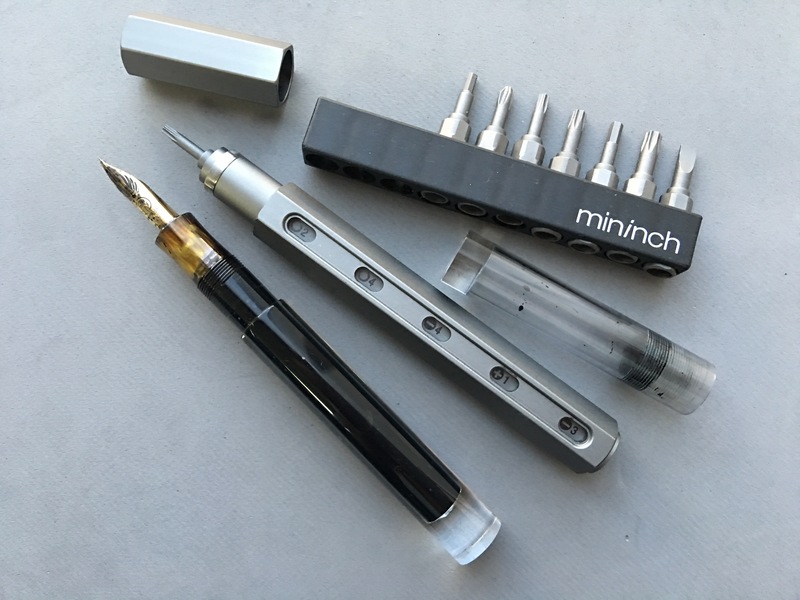 G nibs are an affordable, readily available solution for pen users who love flex. 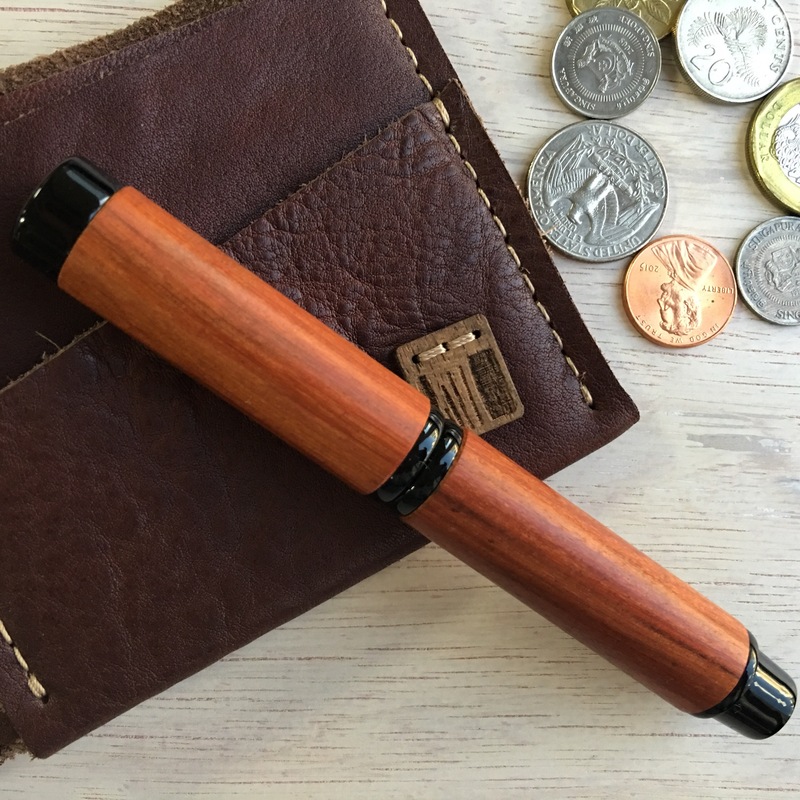 I hope this and other Desiderata models go into regular production – I’m sure I’m not the only one impatiently waiting to snap up more of these “flex on demand” pens. This isn’t my last Conid. 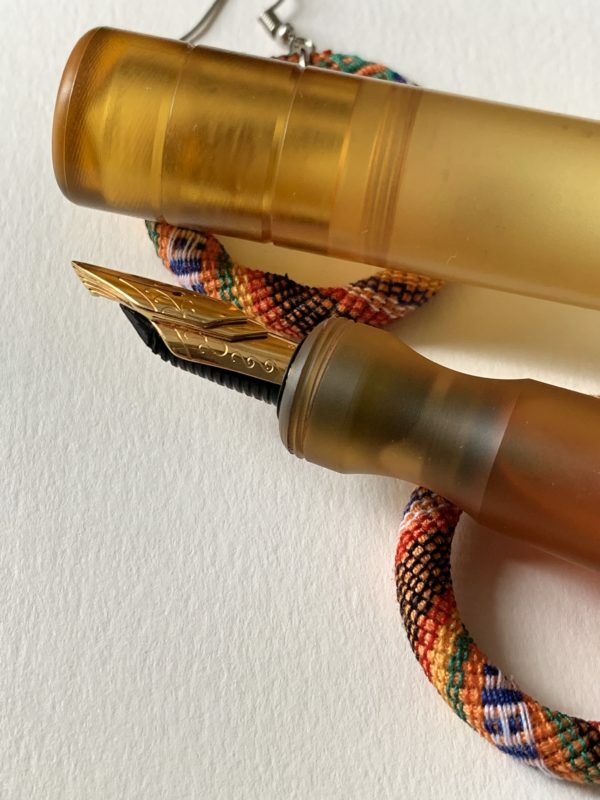 I asked Mike to grind the titanium nib to a needlepoint and the pen graduated to daily carry. It is always loaded with Platinum Carbon Black. My frustration with Pilot’s FA nib runs long and deep. I still keep a 742 carcass as a memento mori. Who knew all I needed were Tokyo Quill’s versions? 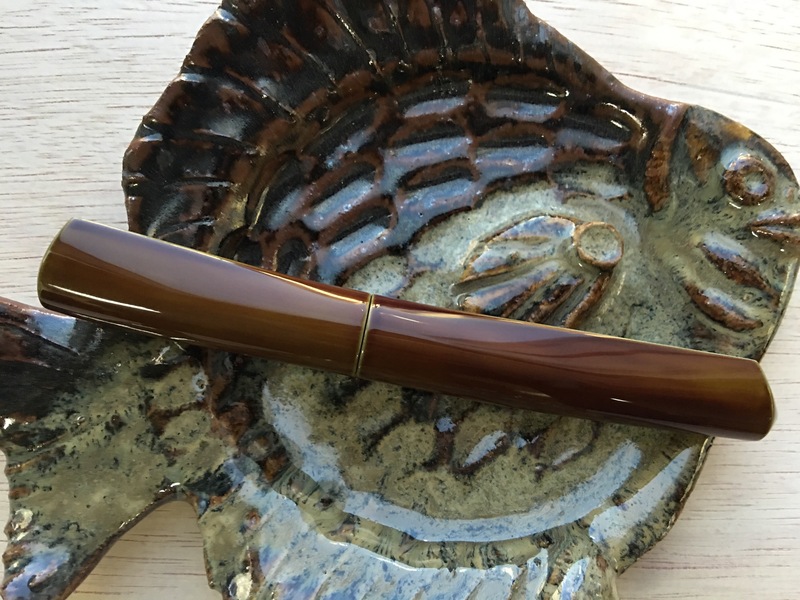 The 845 in vermilion urushi is exclusive to Tokyo Quill. The red mesmerizes from afar and the FA nib never skips or stutters. The 823 went on Mike Masuyama’s table and emerged a semi-flexible needlepoint. 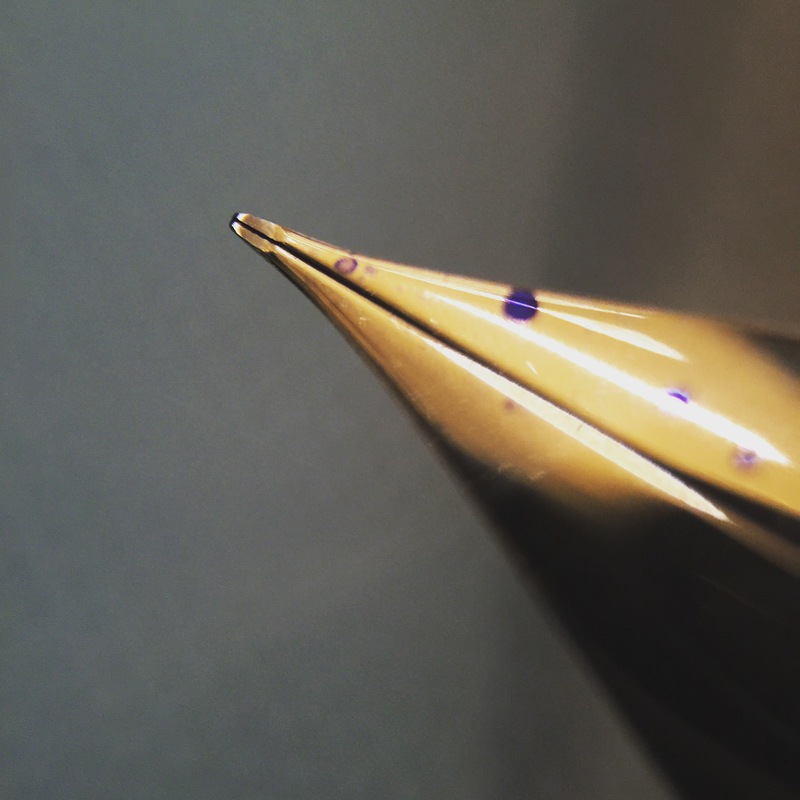 No matter how beautiful the pen, how rare the material, how masterful the workmanship: if the nib underwhelms, the pen doesn’t sing. A lesson well learned with this nib. It’s not too big as Genkais go. 😉 And it is unusually restrained for Danitrio. The kamakura-bori is classic, and the styling of the ends makes me smile. 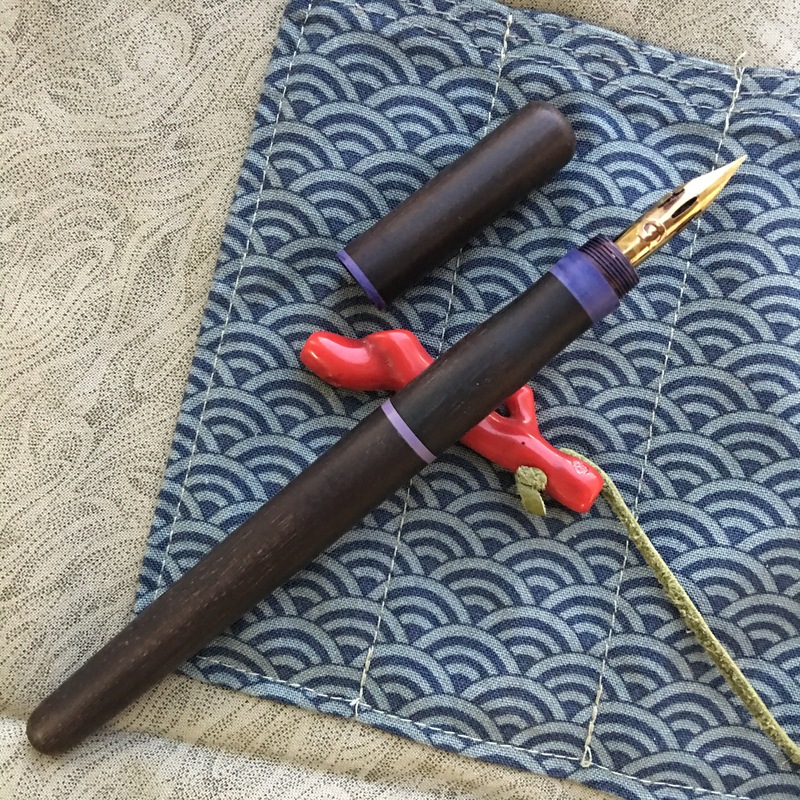 The nib is now a Masuyama needlepoint. It’s an eyedropper with a shut-off; aligned correctly, the seam is practically invisible. 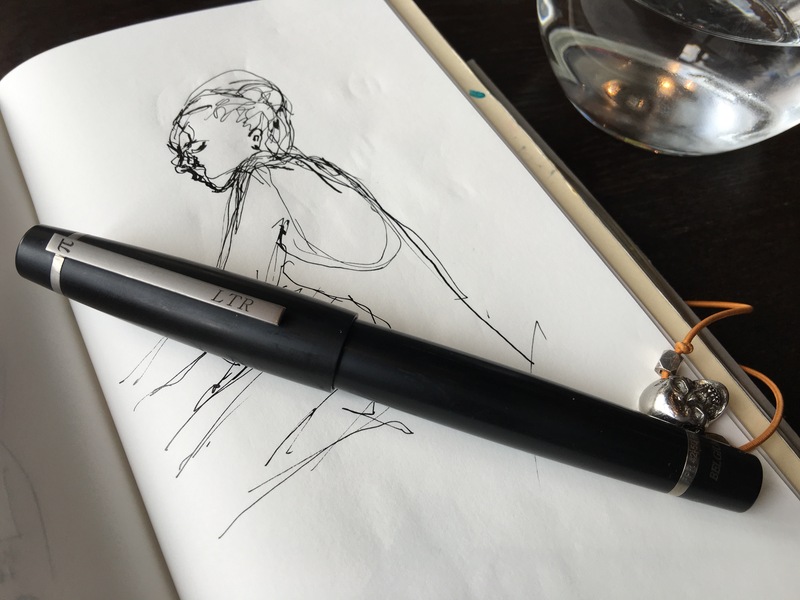 The pen I wrote about the most this year, and even witnessed the making of. It is wearing well. It holds so much ink that I’ve refilled other pens with it. (Take that, Visconti Travelling Inkwell!) More importantly, it’s always in use. 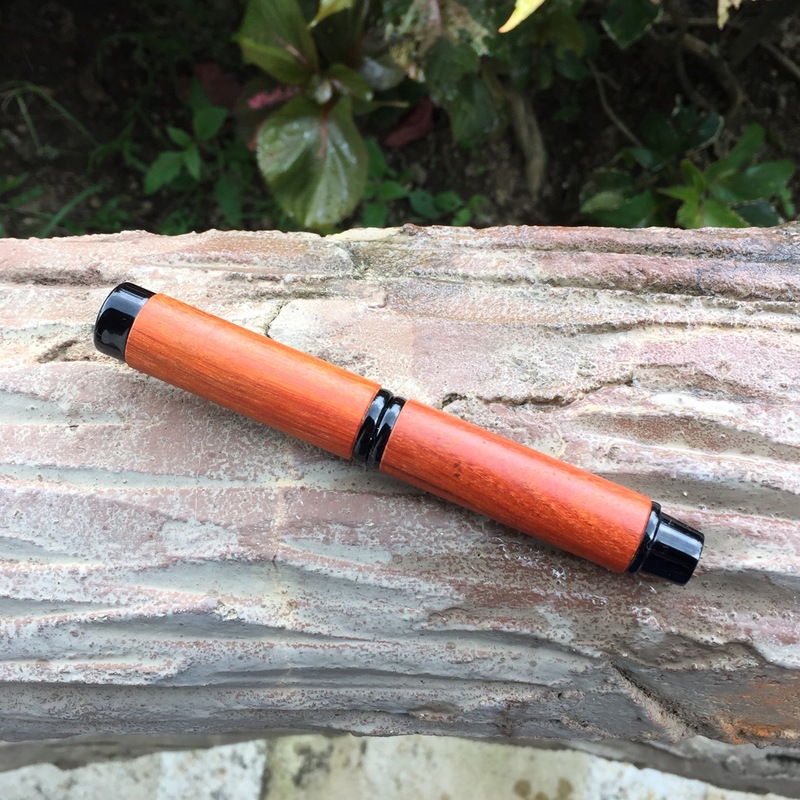 Which of your 2015 pens made it to your own top list?